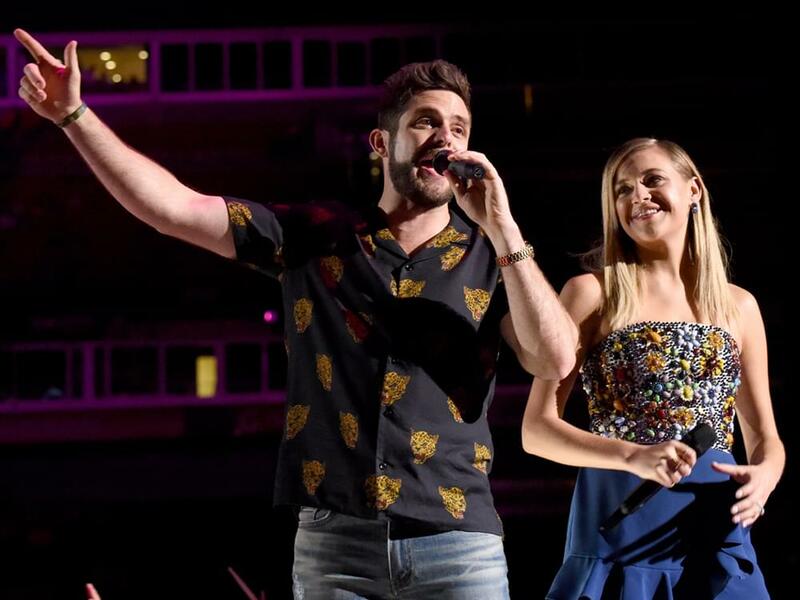 If you weren’t lucky enough to be one of the thousands of fans that descended on Nashville during each day of CMA Fest in June, Thomas Rhett and Kelsea Ballerini have you covered. Kelsea and TR will co-host an upcoming three-hour television special on ABC that features 2018 CMA Fest performances from a bevy of artists, including Jason Aldean, Kelsea Ballerini, Dierks Bentley, Brothers Osborne, Kane Brown, Luke Bryan, Luke Combs, Dan + Shay, Brett Eldredge, Florida Georgia Line, Sam Hunt, Dustin Lynch, Midland, Old Dominion, Jake Owen, Jon Pardi, Carly Pearce, Thomas Rhett, Darius Rucker, Blake Shelton, Chris Stapleton, Cole Swindell, Carrie Underwood, Keith Urban and Brett Young. Special guest collaborations include Lauren Alaina joining Kane Brown, Julia Michaels joining Keith Urban, Morgan Wallen joining Florida Georgia Line, and Dwight Yoakam joining Dierks Bentley. Tune in to ABC on Aug. 8 at 7 p.m. CT to catch the 15th annual prime-time broadcast.